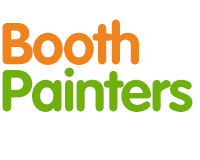 At Booth Painters we are committed to providing you with a high quality Residential & Commercial Painting & Decorating Services that is long lasting, good value, with a modern and professional finish you can be proud of. With over 25 years Industry experience, the team at Booth Painters has worked on a full range of Residential & Commercial projects from homes and rental properties to Office and Commercial Buildings. We are committed to providing a fast, quality service with minimum disruption to you and your family. We have over 25 years of industry experience, and are committed in providing a fast yet quality service. Our painting and decoration services are long lasting with a good value.